Talk about being positive in the face of a frightening situation. Vancouver police have confirmed the fire that broke out in the office of New Star Books on Wednesday morning was arson. Some sort of Molotov cocktail device was, um, introduced into the office environment, causing minor fire damage but leading to signficant water damage. Nobody was hurt. The modern age being what it was, most of the press’s operations fit onto a couple of data sticks; the setback should be temporary. The tip-of-the-iceberg of our inventory was destroyed; but with a single exception, no title suffered the destruction of its entire stock. 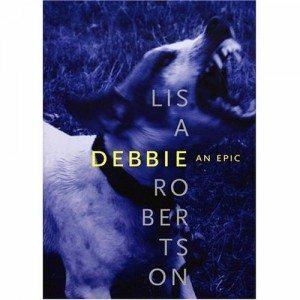 The exception is the 5th printing of Debbie: An Epic, by Lisa Robertson, which has just attained “ultra rare” status. It will take us a few days to properly assess the damage, and if, and how, it might effect our operations. But we will survive this.